Do you remember where you were 6 months ago? More specifically on Dec 1st? We do! Enthralled on the edge of our suicide seats, nails ‘trimmed’ to the bone, we sat holding our breaths watching CCR’s B team Slay Belles playing Newcastle’s Canny Belters. After some very tense play, NRG took away the win with a score of 118 to 102. Since then the Slays have had the opportunity to build up their experience playing teams including Croydon and Northampton. Could this help them to bring home a victory, or will the Canny Belters, fresh from their win against Glasgow’s B Team repeat their peformance? Only one way to find out! 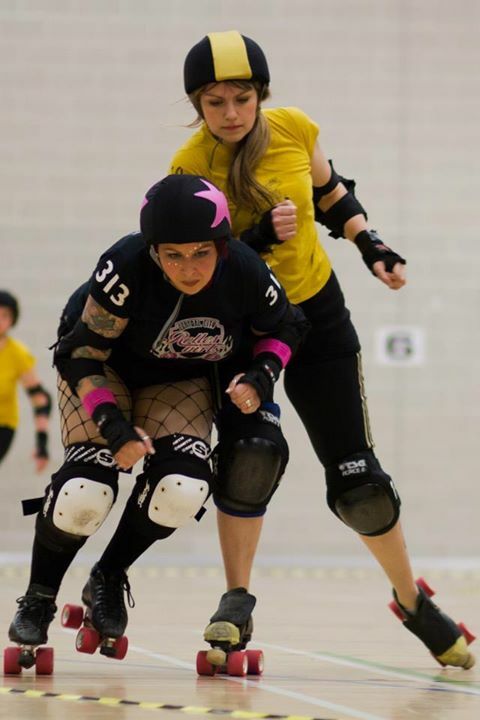 Join CCR’s Slay Belles as they play Newcastle Roller Girls this weekend. Tickets: £6 online, £7.50 on the door. Follow us on twitter @The_CCR for updates on the day! Can’t make this? Join CCR for ‘Get your Skates on’, a free introduction into the world of Roller Derby. Put some skates on or come and watch a mixed scrimmage. For more info click here. This entry was posted in Events, Upcoming bouts. Bookmark the permalink.